My advisor, Jerry Taylor, and I recently developed and published in BMC Genomics a new method to identify ongoing selection on complex or quantitative traits (A novel analytical method, Birth Date Selection Mapping, detects response of the Angus (Bos taurus) genome to selection on complex traits). Previous methods identify selection which has reached completion (or nearly reach completion) on novel mutations affecting Mendelian traits. A well known example of this type of selection is the adaptation of human populations to digest milk as adults. But, these sweeping selection events are the exception. Blue lines represent hypothetical variants that are drifting randomly through a population with an effective size of 100. Red lines represent hypothetical variants that are under strong selection. Drifting variants are not associated with birth date. Selected variants change in frequency over time and are strong predictors of birth date. We utilize this fact to identify selected regions of the genome. Selection often acts in an incremental fashion on variants already present in populations, and this selection is often on complex traits influenced by a large number of genes. By analyzing birth date as the dependent variable in a genome-wide association analysis our method is able to identify these more subtle selection responses. 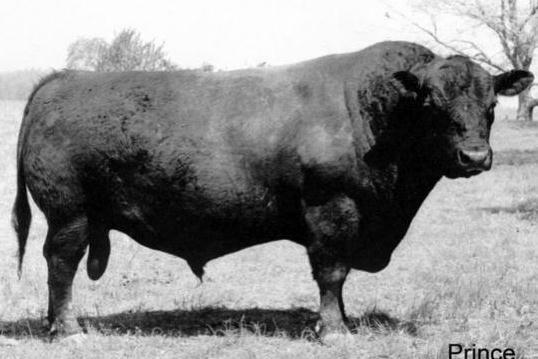 In our BMC Genomics paper we analyzed 3,570 Angus animals born from 1955 to 2008. Using our new method we identified regions containing variants in the Angus genome that changed in frequency due to selection. We estimate that 2% of the genome is under strong selection pressure and another 80% of the genome is under weaker selection pressure. 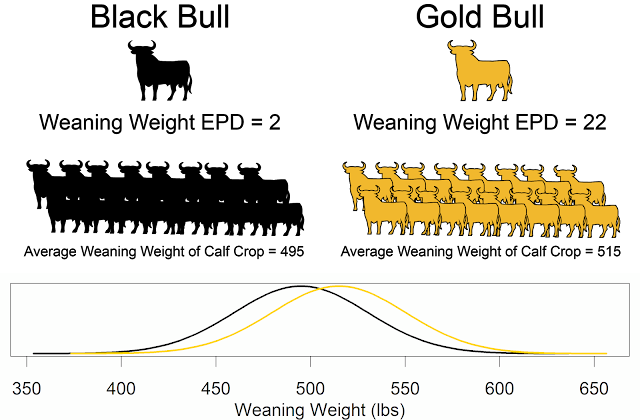 We were able to show that weaning weight was the trait under the strongest selection pressure. Milk, intramuscular fat, and calving ease were also under strong selection pressure. 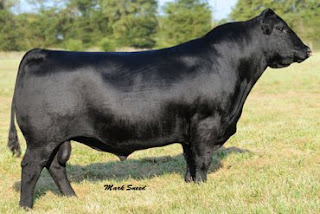 Angus breeders have been able to increase growth traits while also decreasing the incidence of birthing problems (dystocia) by changing the shape of cattle. As seen in the two bulls above, modern Angus cattle have more refined heads and smoother, smaller shoulders. 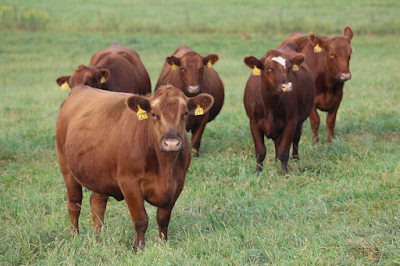 Our results also suggests that the immune system is under selection in cattle. On multiple chromosomes, genes with immune functions where identified as responding to selection. Selection favors cattle that survive and reproduce by keeping pace in an "evolutionary arms race" with rapidly evolving pathogens that infect cattle. This result has been replicated in 4 additional cattle breeds, and I will be presenting this new research at the Cattle/Sheep/Goat workshop at the Plant and Animal Genome XXI Conference in January, 2013.